Sometimes the things that are said in fewer words are the better. Today we have the lovely Jacq Fisch who is a self-proclaimed unfussy writer strategist and writing coach! Before launching her writing and coaching business, Jacqueline spent 13 years working in corporate communications and management consulting. 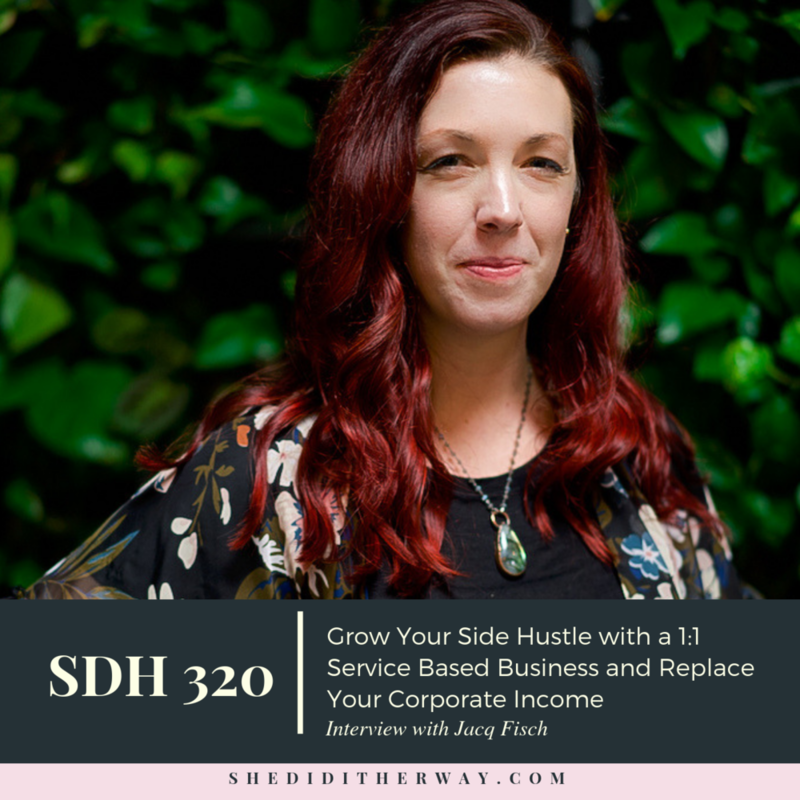 She's collaborated with 200+ clients ranging from Fortune 500 companies, the US government, tech startups, life and business coaches, medical professionals, therapists, sports coaches, and creative solopreneurs. Jacqueline is passionate about helping entrepreneurs drop the fussy writing and jargon and instead communicate authentically, letting their personality shine through, and always in the simplest way possible. "Don't be afraid to do something for free just to get the ball rolling and test the ground and also build your network." "You CAN grow a business on the side while at a corporate job AND do it without hating your life (or your family, or yourself)." In today’s podcast, I’m covering at a high level the strategy behind building an online business from opt-in to product sales. All about how to build an online business!